My first tap dance record was an LP by Baby Lawrence. I got it from a guy in my football team, who heard I collected strange records. Baby Lawrence was a jazz musician who happened to play with his feet in stead of an instrument. It took me quite a few disappointments before I realised that most tap dance records are very different from Dancemaster . That was the title of the LP by Baby Lawrence, by the way. 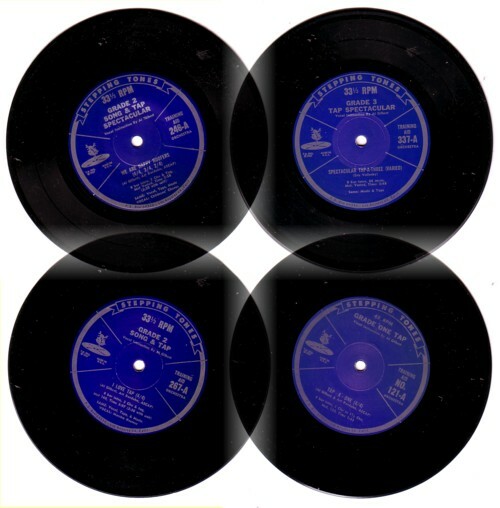 Some of the songs are the obvious Broadway classics, like the Hawaiian War Chant and Tea for Two , but most of the records have original compositions by Al Gilbert himself. The records have been gathering dust on my shelves for over a decade, but tonight I listened to them again, for the second time, and I can’t wait till over another ten years! where did you find these records? I have been looking for them but unable to find them anywhere!!! i found them on a flea market, long time ago. I have a tape with the best records. I can send you that tape, if you want.